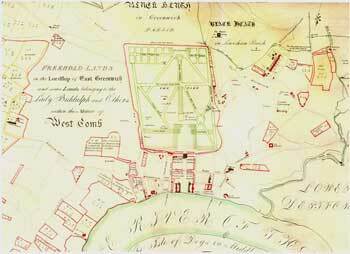 Samuel Travers surveyed the Royal Manor of Greenwich in 1695 following the setting up of the Royal Hospital for Seamen the previous year. 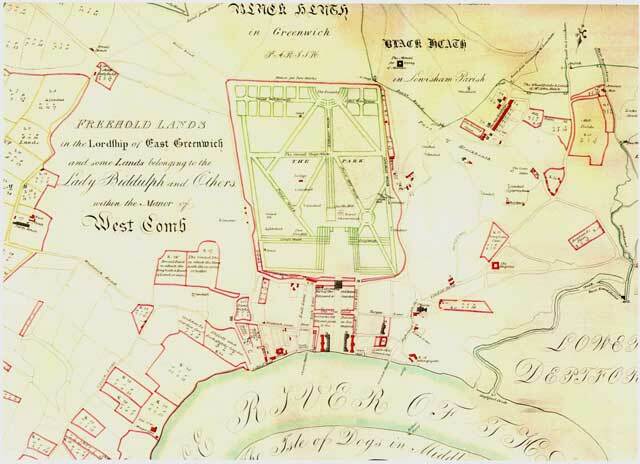 This part of the map shows the centre of Greenwich, two of the blocks of the Royal Hospital (King Charles block and Queen Anne block), the Queen's House, Greenwich Park, the town centre and the, as yet undeveloped, country side on either side of the town. 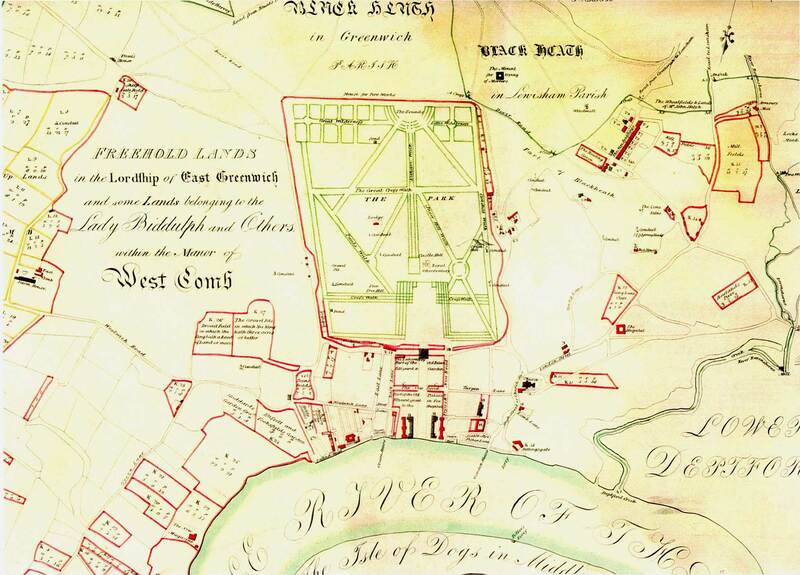 Contrary to modern practice, north is at the bottom of the map.